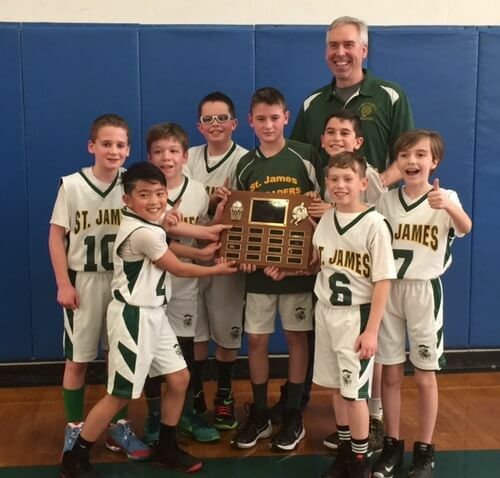 Congratulations to the St James the Apostle School 5th Grade Boys basketball team on winning the DuPage Parochial League Boys 5A Blue Division Championship! In addition to winning the league championship, the team completed a perfect regular season and playoff record of 13-0! Thank you to our young Crusader champions on a very successful and enjoyable basketball season!